Photo: “Man in scuba mask (?) with a camera (Terry Norman), other people stand and walk nearby,” Kent State University Libraries. Special Collections and Archives. Terrence Brooks Norman (born April 30, 1949) was a Kent State University student allegedly involved in the Kent State shootings. Norman was a junior at the University when soldiers from the Ohio National Guard killed four students and wounded others during a May 4, 1970 protest. Norman was present at the protest and was photographing the demonstrators for both the campus police and the FBI, a fact that was initially denied by both agencies but later confirmed. After the shooting, Sylvester Del Corso, the Ohio National Guard’s top general, released a public statement claiming that Norman had admitted firing four shots at the demonstrators in self-defense. He later backed off from that statement. A Special Agent of the FBI interacted with Terry Norman on May 3, 1970 and May 4, 1970. * See page 9,10 of Section 1 FBI document. The gun in Terry Norman’s possession on May 4, 1970 was purchased by the Akron Police Department. It was allegedly sold to Norman by a police officer. * See page 36, 37 of Section 38 FBI document. Terrence B. Norman currently resides at 389 Cascade Trail, Pisgah Forest, NC 28769. Recent attempts to communicate with him regarding his role in the assassination of four Kent State students have been unsuccessful. Michael Kuzma, a local lawyer, filed a federal court lawsuit seeking the release of FBI documents related to the Kent State shooting and the people, known and unknown, behind it. 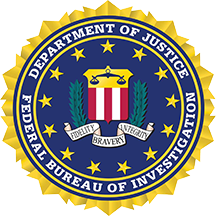 The FBI, citing privacy concerns, refused Kuzma’s initial request for more documents, and Kuzma followed up by filing his civil suit. Buffalo lawyer Daire Brian Irwin is representing Kuzma. Photo: “Terry Norman with camera surrounded by National Guard personnel,” Kent State University Libraries. Special Collections and Archives. INDIANAPOLIS (AP) — Two former Anacomp, Inc., employees pleaded guilty Wednesday to federal charges of mail fraud and money laundering stemming from the embezzlement of more than $675,000 in company funds. Terrence B. Norman, 43, pleaded guilty in U.S. District Court to one count of conspiracy to commit mail fraud, two counts of mail fraud and two counts of money laundering. Judge John Tinder then sentenced Norman to 50 months imprisonment followed by three years of supervision, and ordered him to pay Anacomp $300,000 in restitution. Norman’s wife, Kathleen B. Norman — also a former Anacomp employee — pleaded guilty to three counts of money laundering and received a sentence of 15 months imprisonment, followed by three years of supervision. She also was ordered to pay $147,414 in restitution to Anacomp. Terrence Norman, who was in charge of Anacomp’s telecommunications system, has admitted orchestrating the creation of two fictitious businesses that submitted fake invoices to Anacomp, the U.S. Attorney’s office said. The invoices were then approved for payment. A third defendant, Kingdon B. Blabon, of San Diego, Calif., has also been charged with conspiracy in the case and is expected to plead guilty next January, said assistant U.S. Attorney Sharon M. Jackson. Kent State shootings: Does former informant hold the key to the May 4 mystery? American soldiers shoot four protesting American students at an American university, and a nation erupts. * Terry Norman Content Begins at 14:16 Mark. Oliver Stone speaks at Kent State University. Look back at the Kent State massacre, now 46 years old. The guests are Laurel Krause, sister of shooting victim Allison Krause, and founder of the Kent State Truth Tribunal, and activist-attorney Michael Kuzma. They discuss recently-discovered evidence, as well as Kuzma’s FOIA lawsuit to obtain documents which could illuminate the FBI’s involvement.